Earlier this week, Apple’s shipping estimates for the iPhone X improved to 1-2 weeks. According to a new report from KGI analyst Ming-Chi Kuo, the improved shipping estimates are due to better than expected production enhancements and parts availability, not weakened demand. Kuo’s sources said that iPhone X production issues “have been well addressed” in recent weeks, with Foxconn’s production now at 450,000-550,000 units per day compared to just 50,000-150,000 a month ago. The two primary bottlenecks were the LTE antenna and the dot projector for the TrueDepth camera. According to Kuo, Apple’s production problems have been largely rectified. The company diversified LCP LTE antenna orders to include a second producer, Career, while production yields of TrueDepth’s dot projector, known as the “Romeo” module, have increased. The analyst believes fourth quarter shipments could be 10 to 20 percent higher than previously estimated, meaning first quarter 2018 shipments will experience some pull-in. 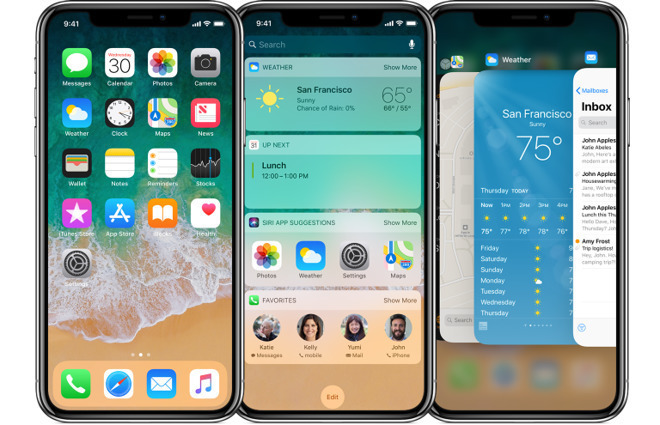 As such, Kuo is forecasting flat or slightly lower quarter-over-quarter iPhone X shipments for the first quarter.